Artificial Intelligence (AI) promises an important contribution to companies’ business value. Transport logistics offers a variety of use cases which have significant impact on freight and logistics costs. 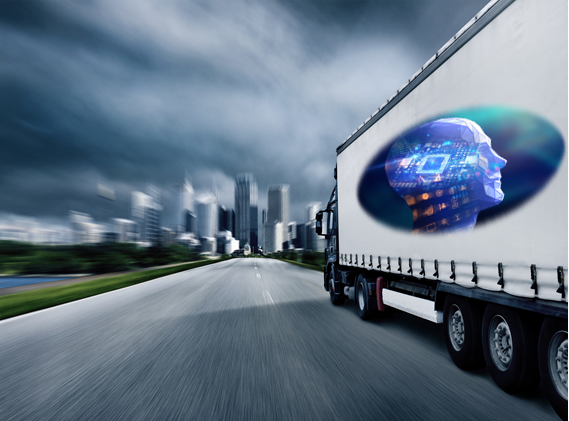 Moreover, AI can boost logistics efficiency in the form of lead times or agility. 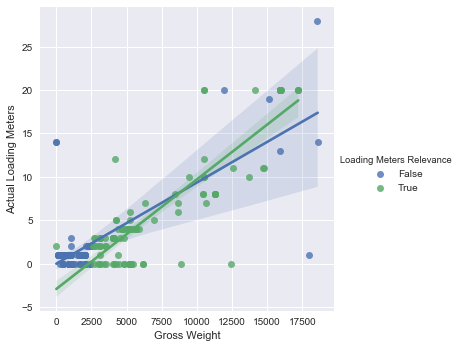 This article highlights a specific AI use case in the field of loading meters planning. If a shipper orders more loading meters than he actually needs, he still must pay for the unused space, because the freight forwarder has kept the space for the shipper – a waste of money. However, if a shipper orders less loading meters than required, some of his goods will remain outside or he will have to pay extra. Knowing the required loading meters can therefore save money and avoid unnecessary trouble. In our CAMELOT logistics projects, however, we often come across cases where it is not so easy for a variety of reasons. The master data is not sufficiently maintained. Very diverse products are being loaded together. Big packs expand to different degrees while filling, and exceed the pallet size. Order packing efficiency differs across employees. Mixed pallets are almost unpredictable for loading purposes. How can AI solve this problem? Knowing the right loading meters is essentially about pattern recognition, evaluation and application. AI tools can process extremely complex correlations of different parameters and thus determine the most probable result. It is important to know that in addition to the calculated value for loading meters, the AI system determines the probability of this value. The system can also give an upper and lower range of the requested loading meters at a certain probability (e.g. 95%). How to achieve such results? First of all, data exploration is required to reveal the first patterns. Once we have gained a first understanding of the data structure we can think of qualified algorithms to process the data. We also have to decide whether we need to filter the data by different issue types and to apply different algorithms. We could also give this task to a machine learning platform. The next step is a loop of setup/adjustments, training, testing and validation until the best achievable result is found. Attention! It is important to note that a high number of training iterations improves the result. But the ability to apply the learned model to new unknown data decreases. Hence it is important to find a good balance. In CAMELOT studies, we used the SAP Leonardo services for machine learning. Its Application Programming Interface (API) we could access via the REST interface. The call of the interface is triggered by SAP Transportation Management (TM). The freight order dataset, which has been determined to be relevant during the data exploration analysis, is transferred to SAP Leonardo. There, the data is processed by algorithms, and the calculated loading meters data gets transmitted back to the TM system. As you can see from the screenshot the process has to be triggered manually for demo and analytical purposes. In daily business this will be executed automatically and during saving, unless the freight order is in execution. Further, the determined loading meters data will be used for capacity booking at a logistics service provider. It is recommended to set up a reporting tool to monitor the performance and cost savings. As the business environment changes, it may be necessary to recalibrate the loading meter prediction. Camelot is an early adopter of AI in i logistics consulting. The loading meter is one of the AI use cases developed by CAMELOT’s logistics and digitalization experts. Just drop either a line if you want to find out more about use cases for AI or other groundbreaking technologies in logistics!